Dyslexia is language-based with a cluster of symptoms relating to language and reading. Dyslexia does not indicate a lack of intelligence or a desire to learn. It used to be thought that dyslexia was a life sentence. We now know that since the common causes of dyslexia are cognitive delays that can be addressed, dyslexia can be overcome in most cases. A dyslexia diagnosis is in large part determined by how reading compares to other learning skills. An otherwise grade-level student may be behind in reading. Equally, a gifted student who is reading at grade level may be dyslexic. A formal evaluation will assess intellectual ability, auditory processing, psycho-linguistic processing, and academic skills. It takes into account the individual’s family background and overall school performance. The term “developmental dyslexia” describes a reading level that is significantly behind that expected from the intelligence quotient (IQ). 5–10% of children, particularly boys, are found to be dyslexic. A person labeled “dysphonetic” has difficulty connecting sounds to symbols. This is also called “auditory” dyslexia or phonological dyslexia, a holdover from an earlier period when dyslexia was thought to be a visual difficulty. Stealth dyslexia is a relatively recent term that describes children who are using coping strategies to hide their reading difficulty. This can go on until a child is at least 11 years of age. Around that age, work around strategies such as sight word memorization and guessing unknown words tend to fall apart. Stealth dyslexia is common in very bright children who fill in gaps, memorize and generally figure out how to disguise their issues. These children typically have very good comprehension at an early age and appear to be decoding fine — in reality they are not decoding as much as reciting. Ultimately, reading requires automatic decoding so that the mind is available for reading comprehension. As the word list gets longer and the comprehension becomes more challenging, the challenges of children with stealth dyslexia become more obvious. Consequently, their need to concentrate on the words detracts from their reading comprehension, therefore shining the light “all of a sudden” on a reading problem. The good news is that this group, children with stealth dyslexia, often respond very quickly to a program like our dyslexia software which exercises the auditory processing delay most often causing the stealth dyslexia, leading to a rapid improvement in automatic decoding skills and then in reading comprehension. 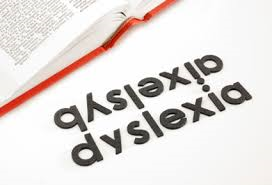 Of these two types of dyslexia, surface and phonological dyslexia, phonological dyslexia should be and is the more common, since reading is a language skill requiring phonological awareness. Targeted exercise protocols that work on the cognitive skills that cause phonological dyslexia can make a difference. Here are other dyslexia definitions. The answer to what is dyslexia varies according to your field of expertise as we see below. This definition assumes “conventional instruction” should be good enough. If the school fails, then he must be dyslexic. This definition focuses on the fact that dyslexia impacts more than just reading. This definition focuses on reading difficulty being an outlier in an otherwise healthy learning makeup. These definitions are all descriptive. The cognitive delays that cause most dyslexia will respond to targeted exercise and training. Dyslexia impacts self image. Children with dyslexia often end up feeling “dumb” and less capable than they actually are. They can often become discouraged about continuing in school leading to a perceived link between dyslexia and intelligence. However, dyslexia is related to learning, not IQ. Many people with dyslexia are very bright and accomplish amazing things as adults. The notion that dyslexia cannot be cured or corrected stems from thinking that the brain is hard-wired like a computer, incapable of change. This is now known not to be true. The brain is in fact plastic — it can be exercised just like a muscle — meaning the window to overcoming dyslexia is always open, using brain-based dyslexia programs that train essential cognitive skills. Many people believe that dyslexia is an affliction like weak eyesight, where there is a biological cause that can perhaps be corrected. This is not true. 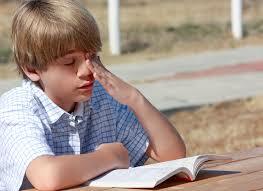 A common perception is that the primary causes of dyslexia are related to developmental delays. Research shows just the opposite. A struggling reader in mid-first grade has better than 90% odds of still struggling in eighth grade and on into adulthood if left untreated. This classic dyslexia myth is so prevalent as to often be used as a proxy for dyslexia. But actually, most children will reverse some of their letters and numbers early on. Continuing reversals after two years of handwriting instruction are a sign of dyslexia, along with many other warning signs. Recent research has found that dyslexic students use much more of their brain than good readers. As a result, they have to work much harder and so can be easily fatigued. Rather than seeing this as laziness, see this as a cry for help from a dyslexic child.